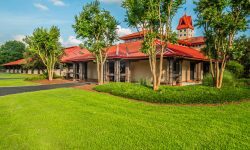 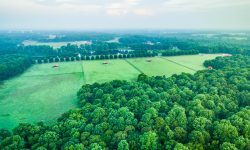 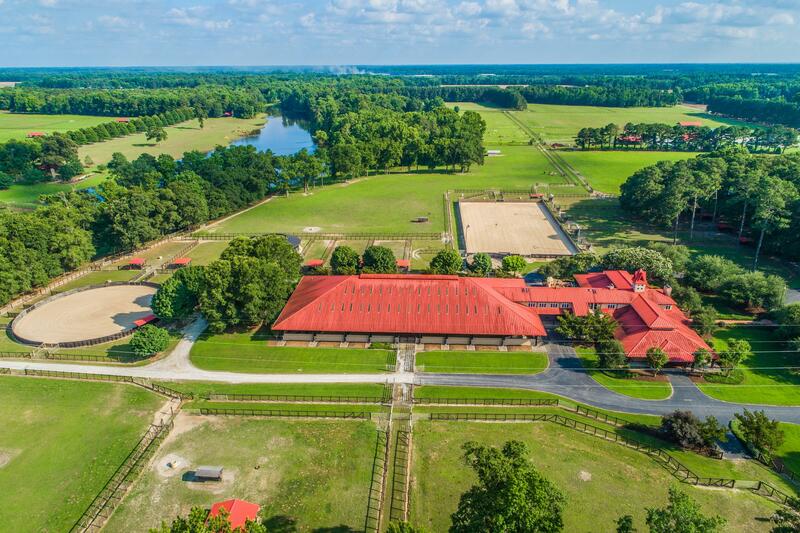 Travel along Longhorn Creek Lane and you will encounter the tree lined entrance to one of the most notable equestrian estates on the East Coast. 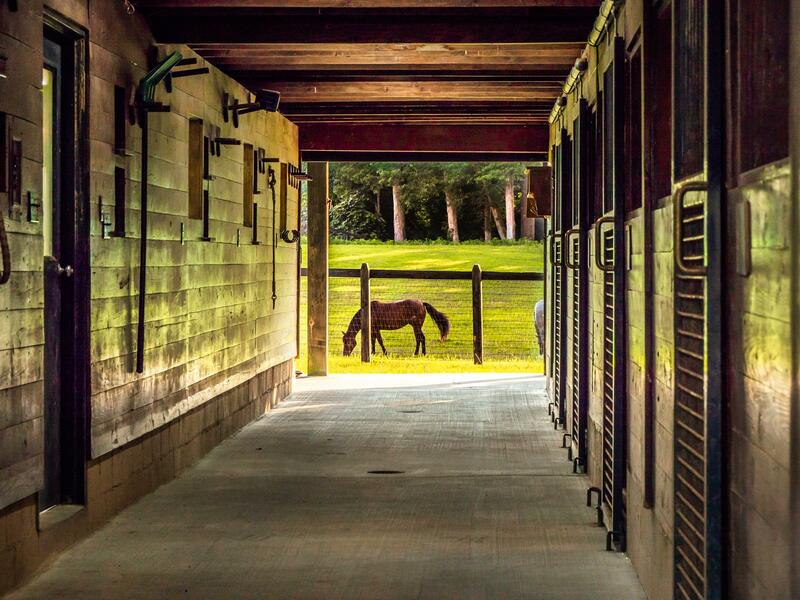 The owner’s passion for horses and generations of family history have inspired something unparalleled. 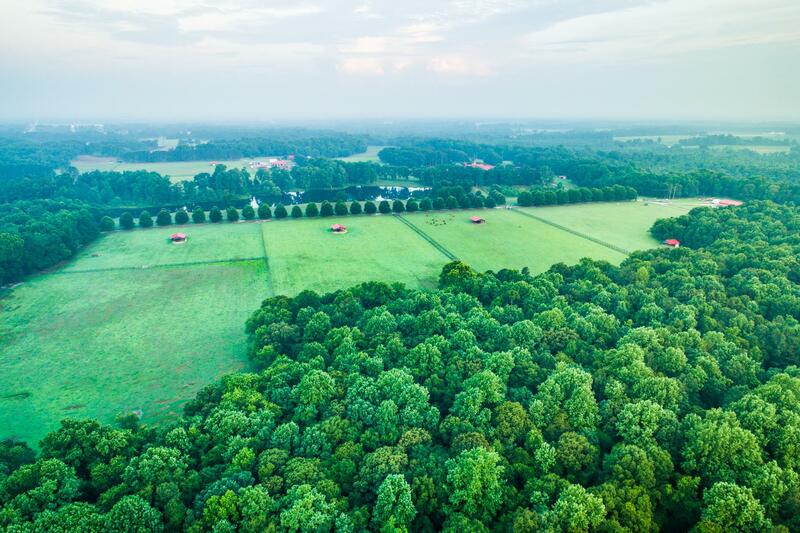 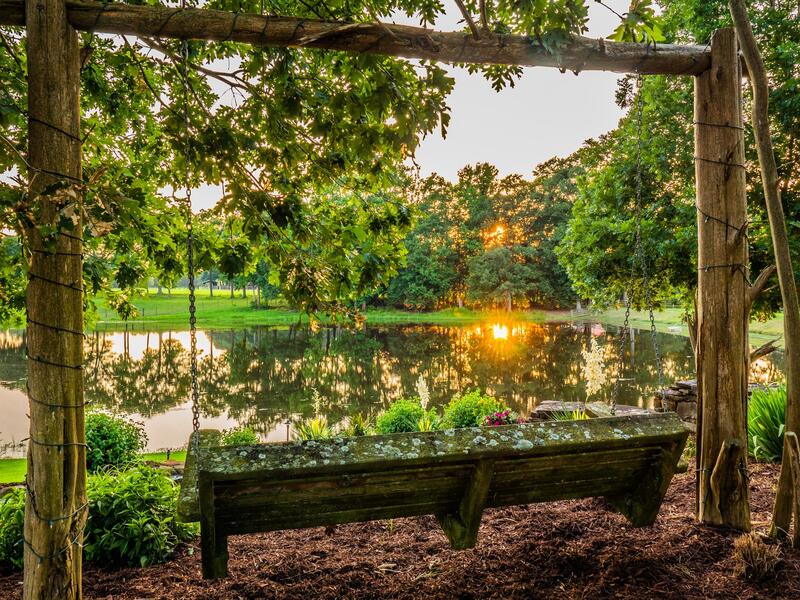 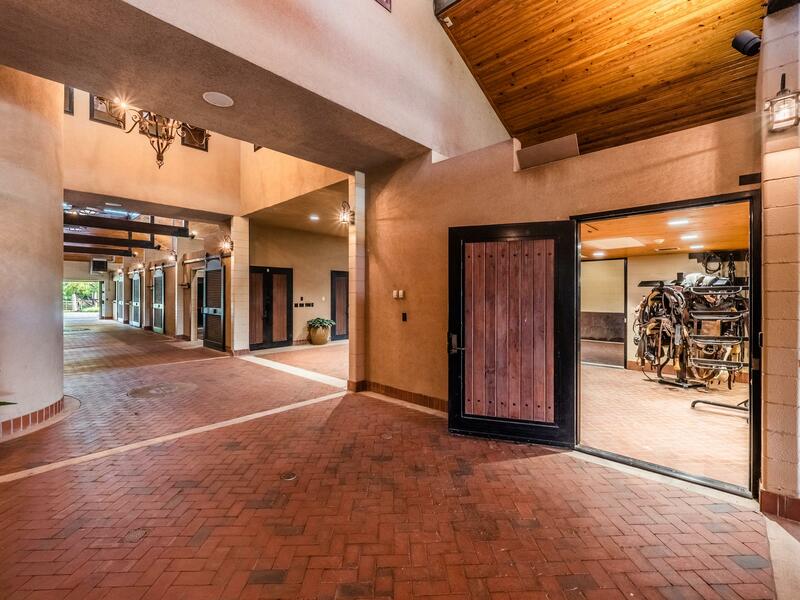 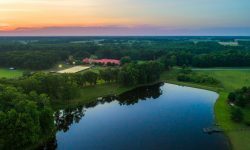 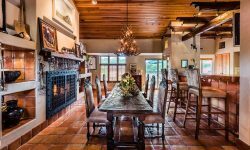 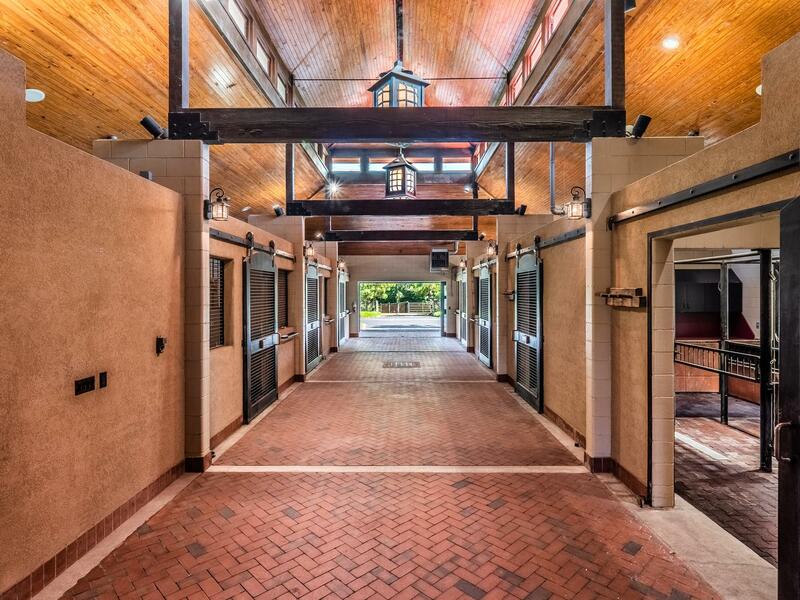 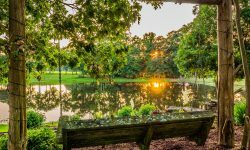 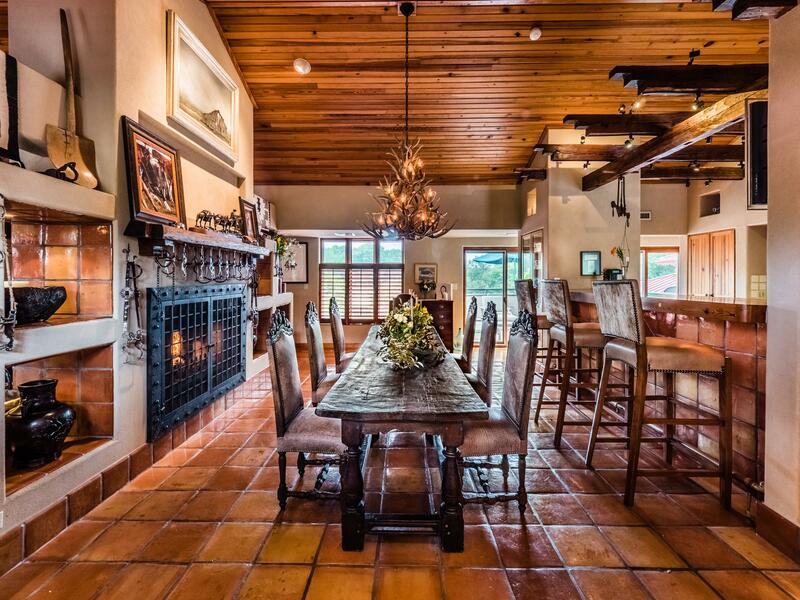 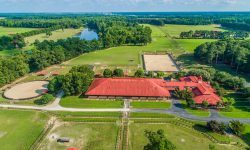 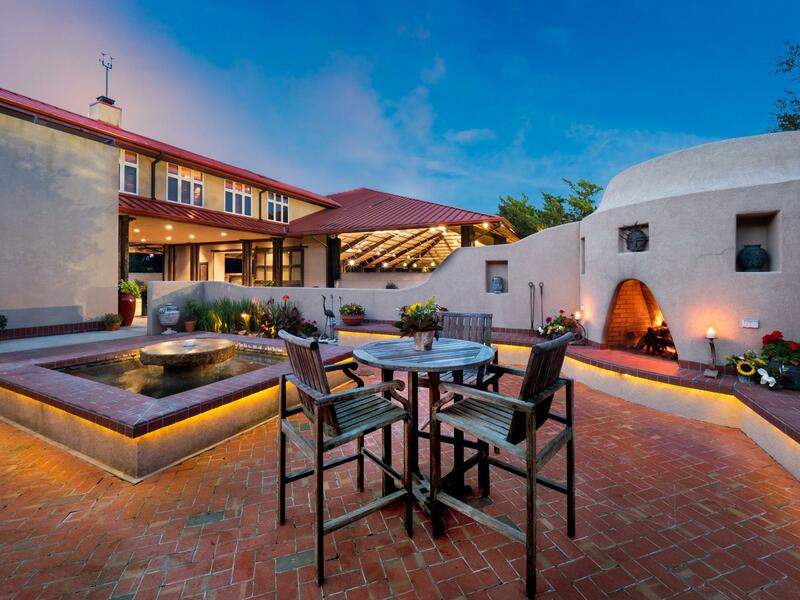 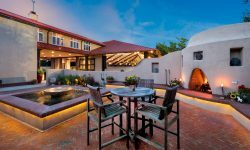 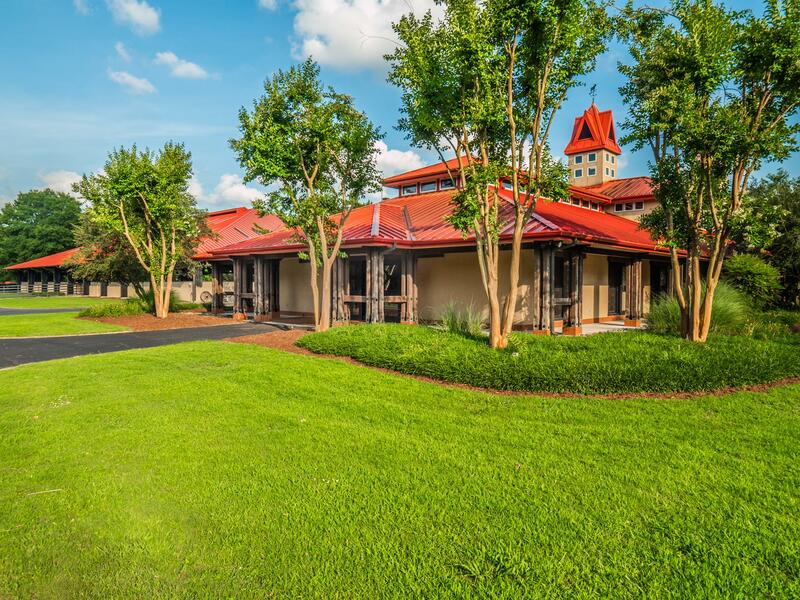 The property provides a sanctuary for the outdoor or equestrian enthusiast, encompassing 350 to up to 700 acres of picturesque, rolling landscape including a 20 acre lake and miles of trails in a convenient, accessible location. 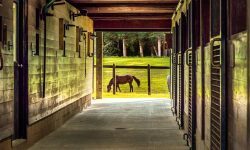 The Main Barn and residence incorporate many fine architectural elements including heirloom grist mill stones, hand hewn beams from the owner’s personally curated collection and antique doors once located in a European church. 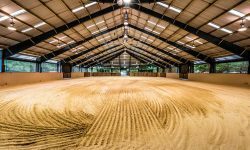 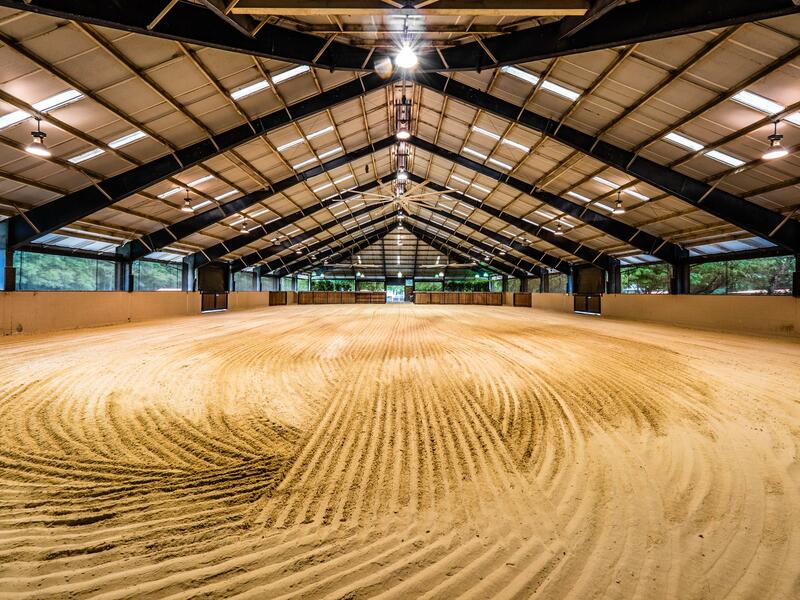 There are indoor and outdoor (with lights) arenas, a Hofman hot walker, veterinary facilities, laundry and wash down areas. 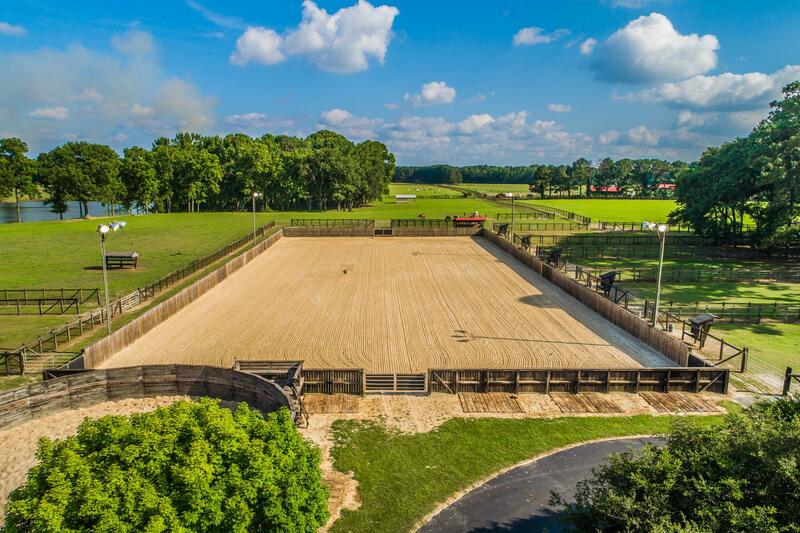 Run-ins, catch pens, round pens, recovery/turnout paddocks and spacious pasture. 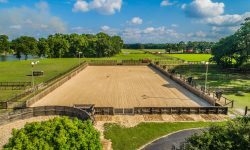 Pastures feature 3 or 4 rail fence with hot wire. 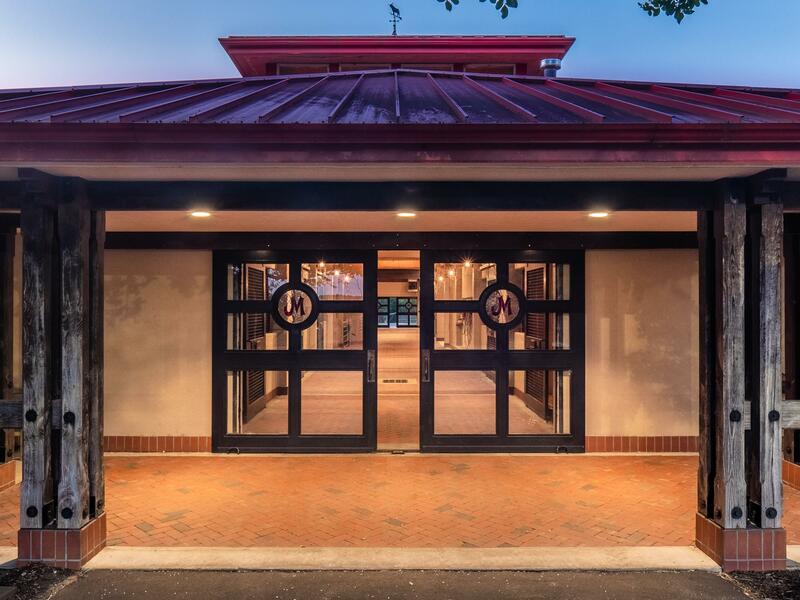 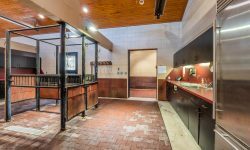 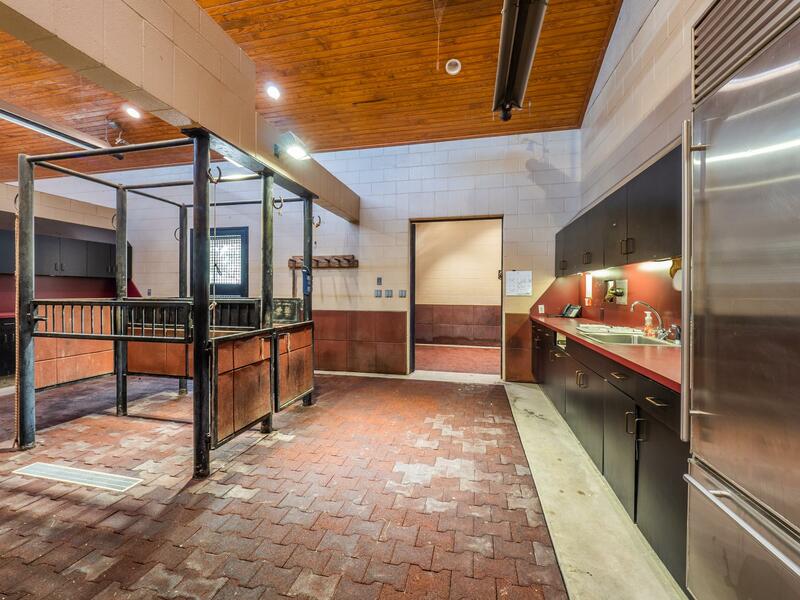 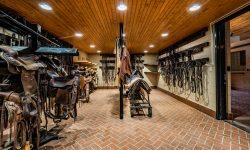 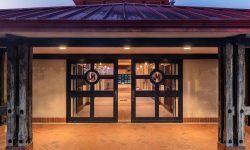 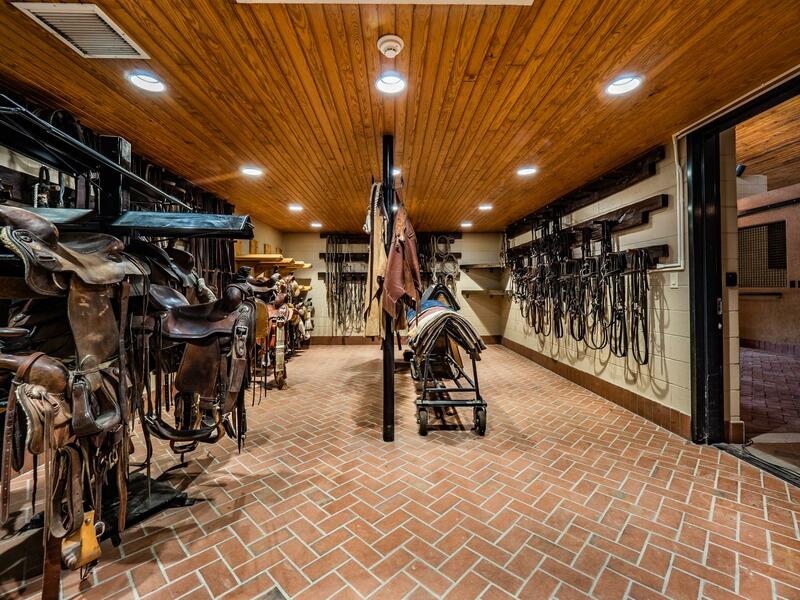 Extensive accessory structures including a Farm Manager’s residence, the original 5 stall barn, hay barn, cattle working facility, grain silo, tractor storage and more. 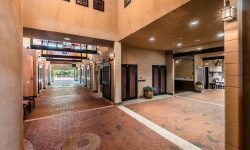 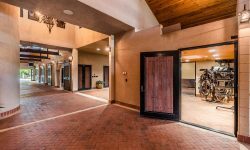 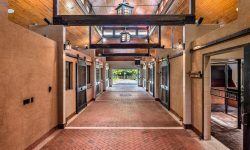 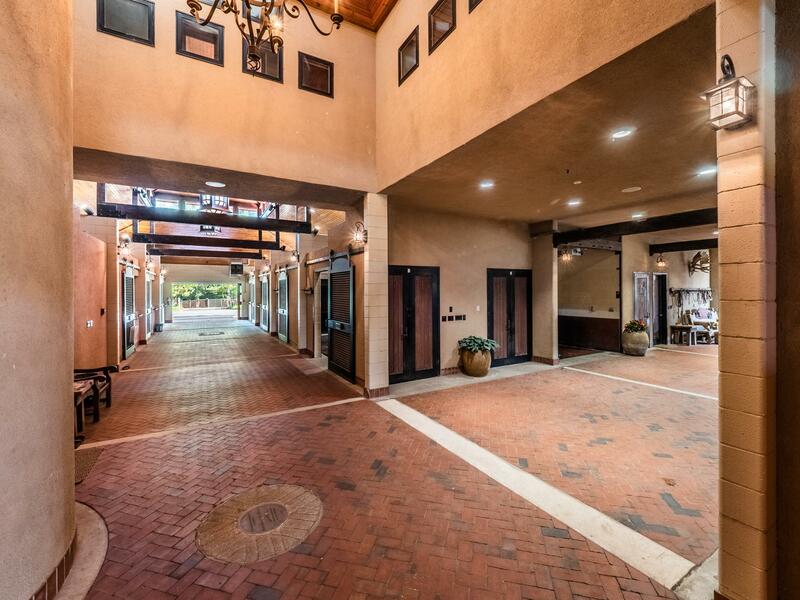 Visit the property web site for full details: www.525longhorncreeklane.com.